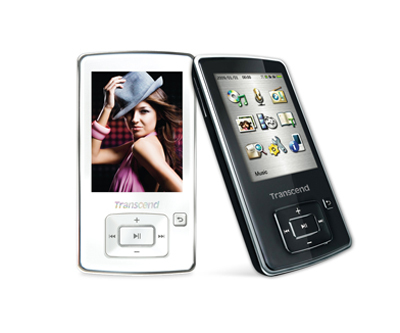 Transcend has this week introduced a new digital music player which boasts a 2.4” QVGA TFT color screen and along with commonly MP3, WMA, WAV, OGG, FLAC media files it also supports newer RM/RMVB file formats. The MP870 has a build-in rechargeable Li-Polymer battery that provides over 22 hours of continuous music playback. 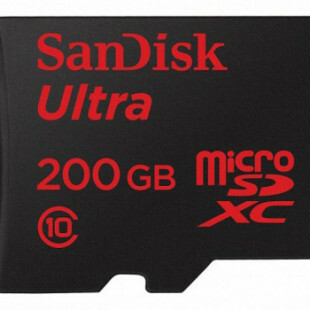 It is available in two capacities, 4GB (black) and 8GB (White) and also has microSD/microSDHC expansion slot. The player is able to play most common media formats such as MP3, WMA, WAV, OGG, FLAC, WMA-DRM10 protected music files, MPEG4 SP (Xvid) and FLV files and newer RM/RMVB file formats. The The MP870 also is equipped with built-in speaker, mcrophone, FM radio, a voice recorder, a page-by-page text file reader, 11 equalizer effects, and synchronized lyrics display with support for 13 different languages. The player measures 94 x 50 x 12mm, weights 62, backed by two year warranty, but no price details yet.